At the Millionaires Club each Thursday, its party night. 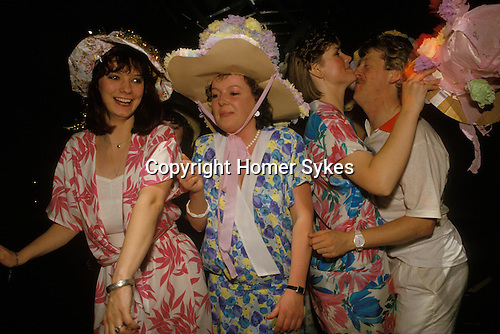 In a pre-wedding ritual girls that are getting married the coming Saturday traditionally wear a floral dress and a straw bonnet decorated with paper flowers. Many bring family photo albums to show their group of invited friends. It’s one last chance to have a fling with an old boyfriend. Get tipsy, then recover on Friday and get married on Saturday.